The 9 Best French Restaurants in Rhode Island! Bacon Frisee, Moroccan chickpeas, duck leg confit, and armory chicken are all being served up each day at Loie Fuller’s. The walls are painted in an Art Nouveau style that perfectly complements this French-influenced food. The menu at Chez Pascal changes often, but two things remains constant—the French traditions and the quality of the ingredients. Start off with a selection of cheeses, a seasonal bisque, or some roasted mussels then venture into a delicious entrée, and finally, go for one of Chez Pascal’s delicious sorbets, made from seasonal ingredients. Bouchard offers both fine lodging and dining in the heart of charming Newport. They offer artful dishes such as porc “en croute” (crusted pork), cabillaud “perseille” (cod with parsley) or “saumon aux noix” (roasted salmon with a nut crust.) For dessert, try the raspberry soufflé or parsnip cake! Grab a spot on the terrace for views overlooking Newport’s cliff walk. The Spiced Pear adjoins the famous Chanler hotel, and offers just as luxurious of an experience. Enjoy New England staples influenced by French traditions through the tasting menu, which offers between six and nine courses of incredible food. This neighborhood restaurant serves approachable and appetizing French options. Try their plateau grande, which includes three jumbo shrimp, three oysters and tuna ceviche with sriracha aioli. More in the mood for meat? 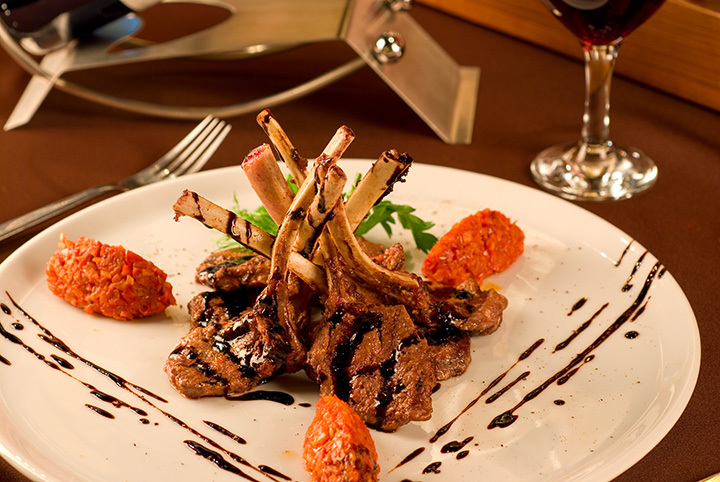 Try the grilled rack of lamb, which comes with ratatouille, or the steak frites. This mobile bistro is one of Providence’s most upscale food trucks. Their duck burger is tender and rich, while the gnocchi à la Parisienne is perfectly creamy and fresh. Make sure to try the fresh truffle oil fries while you’re at it for an extra treat. Inspired by French cafés, Bravo combines downtown Providence’s European feel with more American-leaning cuisine. Munch on moules frites, a poached pear salad, or a croque monsieur open-faced sandwich. Stop by for brunch, too! At Ella’s, Chef Jeanie prepares award-winning food from fresh produce and local ingredients. Try the filet la maison, Moroccan spiced lamb, or one of their incredible pasta options. Want to eat croissants and macarons like the Parisians? Ellie’s Bakery makes light, fluffy quiches and incredible open-faced tartine sandwiches that go incredibly with more sweet options—and trust us, you’ll want to grab something un peu sucré while you’re there.